Here in Brussels, everybody talks about the upcoming European elections – or at least thinks about them. Out there in the member states, polls suggest that many more people consider the vote important than did five years ago. And people care about the issues. What are the issues? Well, that depends on the country. 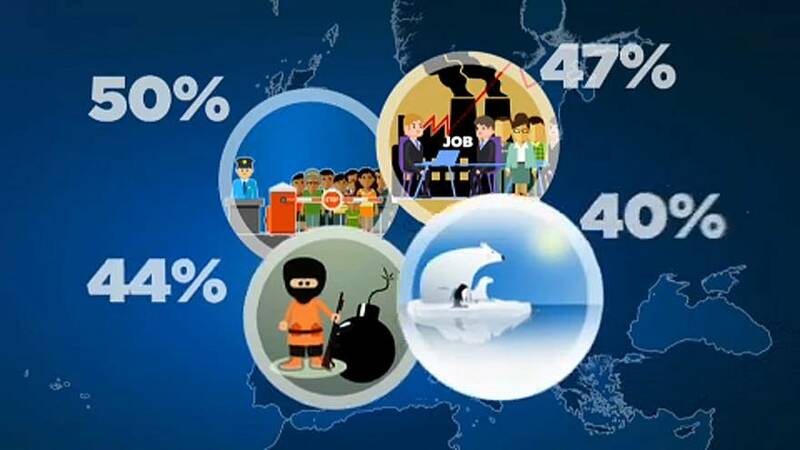 The economy and youth unemployment (47%), terrorism (44%) and climate change (40%). But preferences change according to nationality. Malta, Italy, Hungary, the Czech Republic, Austria, Germany and Estonia. Greece, Ireland, Spain, Portugal, Italy, Cyprus, Croatia, Poland, Romania, Bulgaria, Slovenia, Slovakia, Latvia, Latvia and Sweden. France, Spain, Portugal, Italy, Cyprus, Croatia, Luxembourg and Slovakia. Terrorism is no longer the main worry (it was on previous European elections), but it is still an issue in Belgium and France. And even if climate change worries more and more people, it is only the main priority in the Netherlands, Denmark and Luxembourg. Finland is finally concerned about security and defense policy.